Austin, Texas is not only a great place to live and work, but it is one of the coolest cities there is to visit and have fun. Austin is anything but typical, and has always been well-known for a laid back, eclectic, "live and let live" atmosphere. Not only does the area offer some of the most beautiful lakes, wildflowers, and rolling hill-country scenery, but Austin is home to the Texas Longhorns, the famed 6th St. Entertainment District, the Warehouse District, "SoCo" (S. Congress Ave.) funky little shops and hot spots, and "the Drag" (Guadalupe St. at UT) to help "Keep Austin Weird". However, Austin is probably best known as "the live music capitol of the world", offering popular venues like ACL Live at Moody Theater, Stubb's, Austin Music Hall, The Backyard, as well as some of the hottest music festivals in the country such as SXSW, ACL Fest, and Fun-Fun-Fun Fest. If you truly appreciate music and are interested in modern music history, Austin has alot to offer. 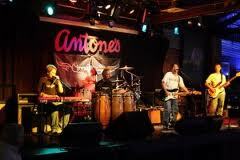 Some of the greatest bands and most influential singers and musicians have gotten their start in Austin. Legendary venues of the 1940's, and 50's included Dessau Hall, Big Gil's, Big Mary's, Ernie's Chicken Shack and the Skyline Club, where big names like Glen Miller, Duke Ellington, B.B. King, Hank Williams, and Elvis Presley played. The Skyline was the last live performance for Williams in December of 1952, before he returned to Alabama and passed away soon afterward. The 1960's and 70's saw some of the most storied venues come along, such as The Broken Spoke which hosted Ernest Tubb, Bob Wills, Roy Acuff, Hank Thompson, Kitty Wells, and many other country stars. The Soapcreek Saloon, The Split Rail, One Knite, The Club Foot, Raul's, and Liberty Lunch didn't last, but they all left a huge mark on the Austin music scene. Flagship rock music venue, The Vulcan Gas Company, hosted many popular bands at the time, including, Muddy Waters, Steve Miller Band, and the very cool Roky Erickson and the 13th Floor Elevators. The Elevators, which started as a 60's garage band, were considered pioneers of the psychedelic rock movement that recorded such hits as "You're Gonna Miss Me" and "Reverberation". Erickson spent many years away from the public eye after suffering a breakdown and battling personal demons, but after literally clawing his way back from social anxiety and the brink of paranoid schizophrenia, he is older now, but healthy and can frequently be seen around Austin, often playing with bands such as ZZ Top or other big names that view Roky as a huge influence on their success. Other great venues of Austin's musical past include The Rome Inn, where Jimmy Vaughn played with his band, The Fabulous Thunderbirds. Jimmy's younger brother, Stevie Ray Vaughn played there regularly with Paul Ray and The Cobras, and later, Triple Threat (with W.C. Clark) and lastly, Double Trouble (including Tommy Shannon). The Armadillo World Headquarters was the granddaddy of them all where SRV, Frank Zappa, Blood, Sweat & Tears, Van Morrison, Roy Orbison, and many others played here during the short time it was open in the 1970's. AC/DC played their first American concert at the Dillo on July 27, 1977, and anyone who was lucky enough to have caught a show there knows it was probably the best beer joint slash concert hall that ever existed. Similar to the Dillo in atmosphere, was the old City Coliseum next to what is now the Long Center for the Arts. That venue had similar character and hosted many great bands such as The Clash and was featured in their first (and one of the first music videos) on MTV. There is still some great places today, such as The Continental Club, Antone's, C Boy's Heart & Soul,Threadgills (current owner Eddie Wilson was also the founder of the Dillo). Janis Joplin played "open mic" night at Threadgill's in Austin while attending The University of Texas in the 1960's before moving to Haight Ashbury in San Franscisco and acheiving fame with songs like "Piece of My Heart" and "Me and Bobby McGee". Jimmy Buffett, later wrote the lyrics to "Margaritaville" while hanging out with Jerry Jeff Walker, Ray Wylie Hubbard, and Willie Nelson in Austin during the 1970's. There is just so much amazing history in Austin to enjoy if you take the time to explore. If you can't find something to suit your taste for entertainment on the previous "Area Attractions" and "Calendar Of Events" pages, then you may find just what you are looking for in the list of places and establishments below. There is something here for everyone. I am sure we have probably forgotten many places, so if you know of a place in a category listed that we may have missed, give us a call or send us an email and we will try to add it to our pages here. Note: Texas Parks & Wildlife offers resident and non-resident fishing and hunting licenses that can be obtained at numerous outlets throughout the state. Hunting must be done in season for various game, but fresh-water, and salt-water fishing can be done year round. Fishing licenses can also be purchased year round, but expires in August each year. A boating safety course must be completed before aboating permit can be obtained.